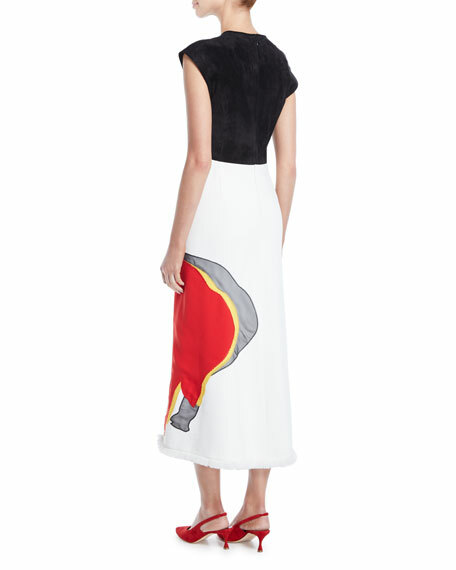 Derek Lam dress features a suede top and contrast skirt with horse applique. Combo 2 & lining, silk. 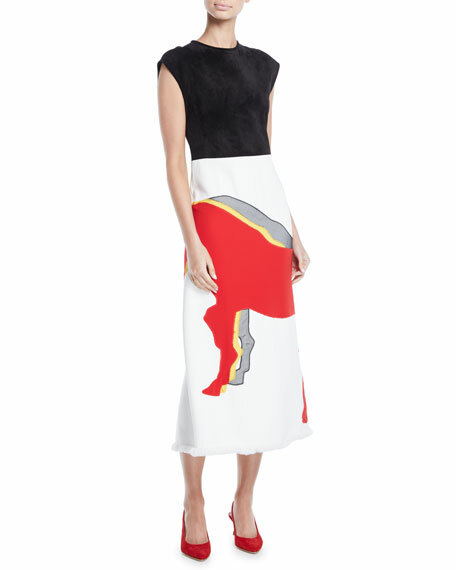 For in-store inquiries, use sku #2660841.